The unique shape is just one of the many charms of this impossibly soft tunic top designed by Laise Adzer and still manufactured by the family that crafted her catalog in Morocco. It's made of the highest quality susti that we call the cashmere of cottons. 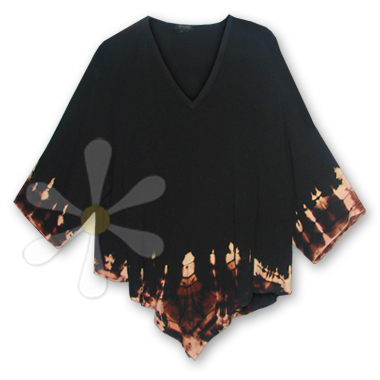 And this one -- in stock now -- is edged in our unique and gorgeous dip dye!